No matter how you learn, we've got the lesson for you. Whether you're new to the game, polishing up your skills or just trying to beat your sister, we welcome players of any skillset. We also offer custom packages for all Lesson options. Short on time? 30 minute Express lessons are available at Topgolf Las Vegas. No appointment necessary! 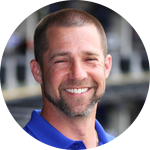 Sean joins Topgolf Las Vegas with nearly 20 years experience as a Golf Professional. Always hungry to learn, his career has been spent growing as an instructor, certified club fitter, TPI Certified Golf Fitness Instructor and accomplished player. Sean competed professionally on the NGA Hooters Tour as well as various other mini-tours before returning home to Gainesville, FL to resume his career as a Golf Professional and become a Class “A” PGA Member. Sean has spent many years teaching all types of players from beginning juniors, women, and men all the way through the most seasoned and accomplished amateurs. Being close to one of the top college golf programs in the country also gave him the opportunity to work with and learn from top NCAA, mini-tour and PGA Tour players. Observing such a broad spectrum of ages and abilities has given Sean a keen sense of how to personally tailor lessons to students and avoid broad impersonal cookie-cutter instruction. Sean’s energy and knowledge, combined with patience and a passion for improving his students' game, is evident in every lesson he gives. 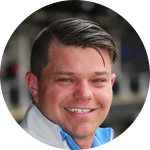 Brandon joins Topgolf Las Vegas with over 15 years of experience in the golf industry and many accreditations. Brandon played two years of college golf in Eastern Washington before moving to Las Vegas to attend the University of Nevada Las Vegas. Brandon graduated from the Professional Golf Management Program at UNLV and is now a PGA member, certified instructor, and Callaway Certified Club Fitter. Brandon also has experience playing in mini tour events and other professional tournaments. Brandon is a student of the game first and foremost and is always looking to learn more to improve his craft. Brandon has taught people from all walks of life and every age range. Brandon is qualified to run clinics, group lessons, one on one lessons, and works with player’s ability levels from beginner all the way to the very advanced. Brandon is also qualified to fit you for custom clubs that suit each individuals golf game and playing style. Brandon offers professional expertise in everything he does and is always willing to lend a helping hand. 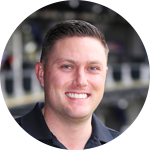 Ryan joins Topgolf Las Vegas with many years of experience in the golf industry. Golf has been a passion of Ryan's for 20+ years. He currently is finishing up his degree in Professional Golf Management from the University of Nevada, Las Vegas. As of January 2018 Ryan will be able to apply for membership into the PGA as a Class A member. One of Ryan's priorities is to help grow the game of golf and he is always looking for ways to improve his knowledge of the game. Ryan wants his students to play the game with confidence, but most importantly enjoy their time playing the game. In 1983, Matt became the First Assistant to legendary, award-winning, Southern California PGA Golf Professional, Richard Chavez. Three years later, he was elected to Class A membership in the PGA of America. He then took the helm as the Head Golf Professional at Twin Lakes Golf Course in Goleta, California. Matt's love for the game of golf set him on a course of playing and - especially - teaching. He has always enjoyed passing on his experiences through teaching, whether it was hang gliding, drums, water skiing, mentoring ice hockey officials, coaching high school golf, or being a Certified PGA Golf Professional. Golf has always been his true passion and he knows in his heart that sharing his coaching expertise in putting, chipping, full swing and playing strategy is what he enjoys most of all.